Wrocław, believe it or not, had a total of eleven (eleven!) native-born Nobel laureates in the 20th century, beginning with Thomas Mommsen’s prize for literature in 1902 and spanning Richard Selten’s 1992 prize for his work in ‘game theory.’ While we might be tempted (we’re not) to fill this guide with texts about all eleven of Wrocław’s Nobel nerds, we do find merit in bringing you the story of the rise and fall of Fritz Haber. 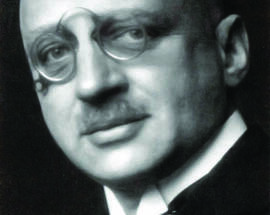 Most remembered for his invention of a process for synthesizing ammonia – a feat which earned him the 1918 Nobel Prize in Chemistry – Haber was more than another bespectacled scientist in a white coat. A fanatical brinksman and nationalist, his work had a tragically ironic and profound effect on his personal life and the world, sustaining and scorching both. 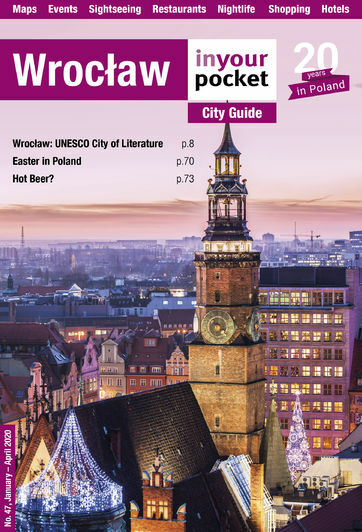 Our drama begins in 1868 in Prussian Breslau (yes, that would be Polish Wrocław today), with the birth of our momentary hero and the coinciding death of his mother. 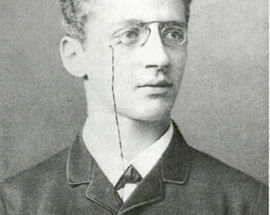 Fritz’s father, a prosperous Jewish chemical merchant, thereby sent his son to be educated in Berlin, Heidelberg and Zurich, not knowing what else to do with the little creature. 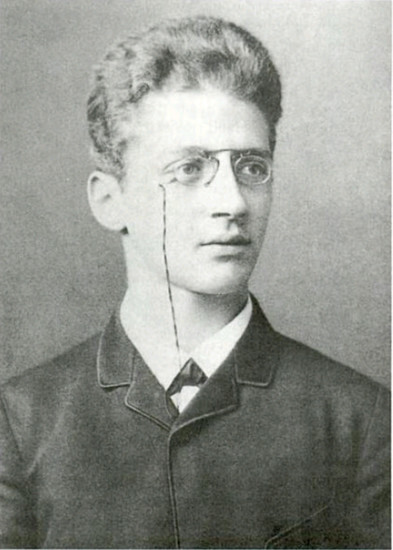 Briefly returning to Breslau to work for his father’s business, young Fritz swiftly developed a chemical intrigue and left to study organic chemistry at the University of Jena, later taking a teaching position in Karlsruhe. Upon reaching the quarter-century mark, Haber began to apply himself with maniacal devotion to the study of physical chemistry. Having essentially taught himself the subject, Haber’s name received recognition, and then renown, as he authored several books based on his research. In 1901, the successful suitor married fellow chemist Clara Immerwahl – herself the first female Ph.D. at the University of Breslau, and together they had a son. Meanwhile, the world had a problem. Its natural resource for ammonia and nitrogenous compounds – necessary to the production of fertilisers and thereby food – was not large enough to meet increasing world-wide demand, and lay almost exclusively in one huge 355 kilometre-long, one-and-a-half metre-deep guano deposit off the coast of Chile – and it was fast being depleted! With Chile holding a monopoly over the world’s ability to produce ammonia thanks to their unique ‘deposit,’ in stepped Haber. 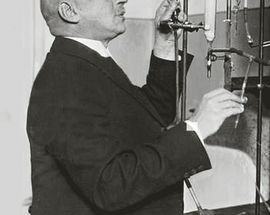 Abandoning an initial project to develop an addictive laxative for the common German house sparrow (– this is the only part we made up), Haber teamed with Carl Bosch to create a now well-known process for the synthesis of ammonia from the abundant elements of nitrogen and hydrogen gas. In doing so, Haber saved the world from the impending food crisis many were predicting, as suddenly inexpensive fertilisers could be made all over the world. 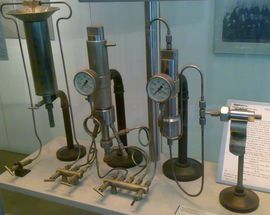 Conversely, ammonia was also necessary in the production of nitric acid – a raw material essential for creating explosives – and the invention of synthetic ammonia brought with it the viable mass manufacture of chemical high explosives and ammunition. In the wake of Haber’s breakthrough the German war machine began to rev up and the Chilean guano market bottomed out, never to recover. A dutiful patriot, Haber was in no way bothered by his work becoming the backbone of the German war effort. 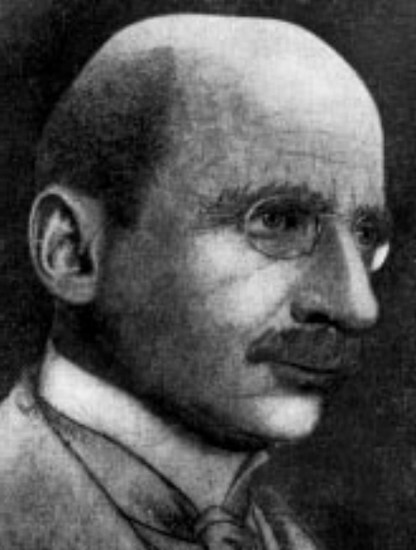 Having been appointed director of the Kaiser Wilhelm Institute for Physical Chemistry in Berlin, Haber placed himself and his laboratory at the service of the German government upon the outbreak of WWI. Soon Haber was a favoured behind-the-scenes military consultant, occupying himself with solving many of the country’s military concerns. 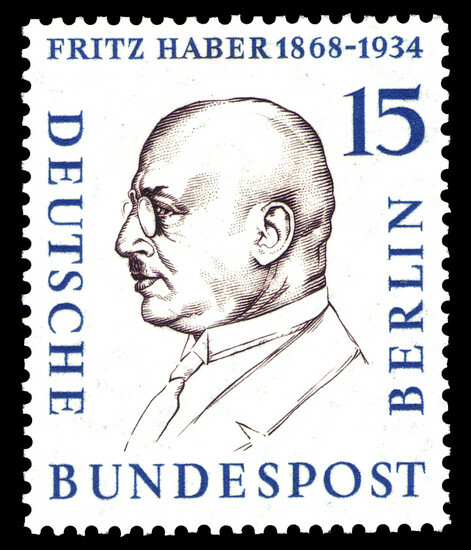 Certainly Haber’s most notorious and controversial contribution to Germany’s war effort was the development of chemical weapons, which he went about with zeal. Haber and his institute produced several improved gas masks before developing chlorine and other gases to be used in trench warfare. 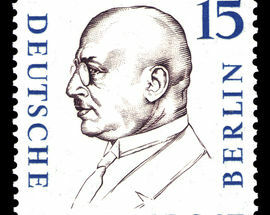 Commonly regarded as the father of modern chemical warfare, Haber earned himself the nickname ‘Dr. Death,’ his enthusiasm for gas warfare extending so far as the organisation and personal direction of the world’s first gas attack – the large scale release of chlorine gas on the battlefield at Ypres, France on April 22nd, 1915. Casualty estimates vary, but lie somewhere between 5,000 and 15,000 Allied wounded or killed as a result of gas, with German losses in the hundreds. Haber’s wife Clara was disheartened by her husband’s application of his genius to the proliferation of chemical weapons and, upon his return to Berlin, took his service weapon and shot herself in the chest on May 15th, dying the next morning. Haber left that same morning for the Eastern Front to direct the first gas attack against the Russians. Though gas warfare became a powerful psychological weapon in the war, it was never a decisive one as the Allies improved their own protective devices and retaliated. 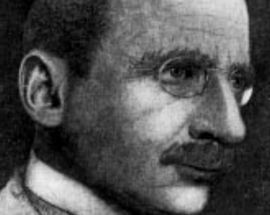 In some sense, World War I’s gas warfare became a war of the chemists with Haber finding his nemesis in France’s Victor Grignard, who worked on the detection of mustard gas and the manufacture of the chemical weapon phosgene for the Allies. For his exemplary military service, Haber was given the rank of captain by Kaiser Wilhelm – a rare distinction for a scientist too old to enlist. 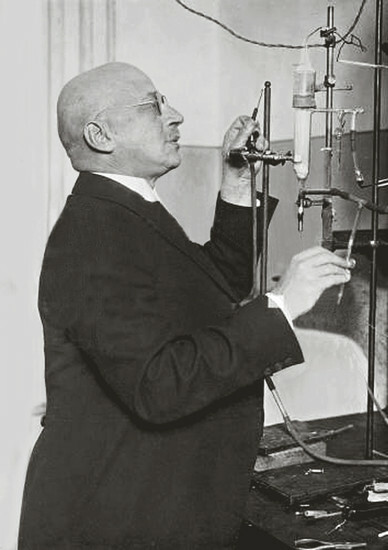 Despite being previously passed by the Swedish Academy of Science for the Nobel Prize, Haber was ironically given the award in 1918 for his discovery of ammonia synthesis, receiving the award at a time when he was reviled by the foreign scientific community for his war involvement. Haber’s distinguished service to his country wasn’t enough to overcome his Jewish ethnicity and save him from persecution when Hitler came to power. Though he was allowed safe passage, Haber was forced to leave Germany in 1933 and went to Cambridge where he had been offered a position. Citing poor health and an understandable disapproval of British weather, he soon left and failed to settle anywhere before dying of a heart attack en route to Switzerland on January 30, 1935 at the age of 65. Though Haber and his son Hermann were both able to escape the War (albeit separately), Haber’s extended family were all put to death in the concentration camps, where by the early 1940s the Nazis had begun to use a cyanide-based gas called Zyklon B to exterminate Jews in mass. As you can probably guess, Haber himself developed the infamous poison, his institute creating it as a pesticide in the 1920s before it became the preferred genocide method of the Nazis. 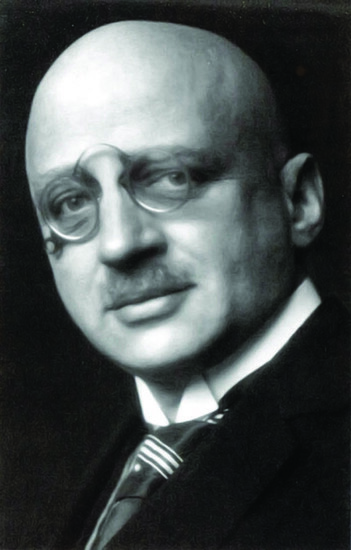 By the war’s end 1.2 million Jews were gassed to death using Zyklon B. Fritz and Clara’s son, Hermann Haber, who had successfully emigrated to America before the war, eventually followed his mother’s example, committing suicide in 1945 as the true horror of the Holocaust was being fully realised.